Photos provided by Barb Heiss, Kevin Slick, Jim & Marian Clatterbaugh, Pat Gonzalaz, Robert Taylor, Karl Spisak and Susan Gordon. 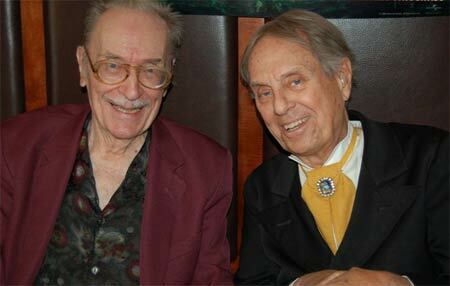 Forrest J Ackerman and Zacherley at Monster Bash 2006! 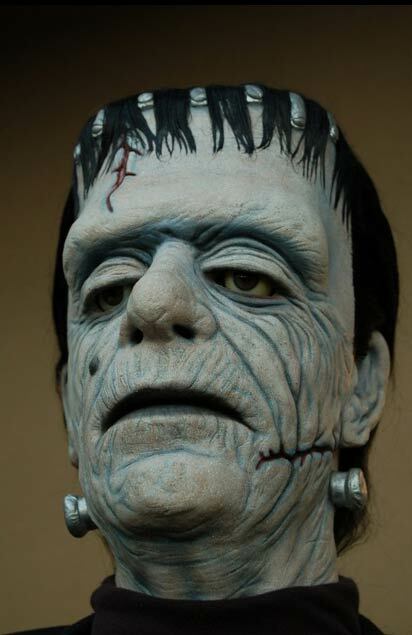 Big Frank (7 feet tall) in the lobby at Monster Bash. Part of the Susan and Jerry Armellino collecion. 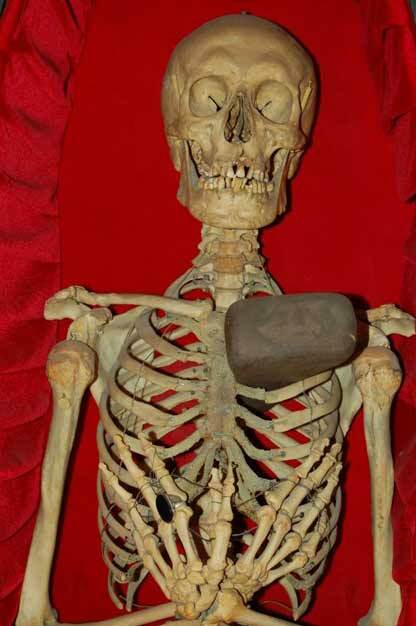 At The Witch's Dungeon display - one skeleton looking fresh from the HOUSE OF FRANKENSTEIN (1944). 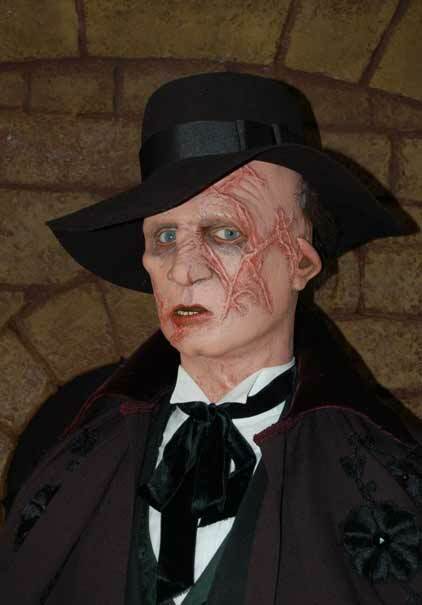 Another figure from The Witch's Dungeon display - HOUSE OF WAX! 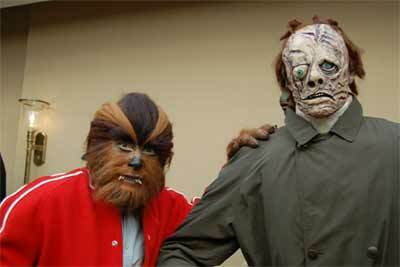 Mark Statler as the Tennage Werewolf (make-up by Ron Chamberlain) and the Teenage Frankenstein figure in the lobby. 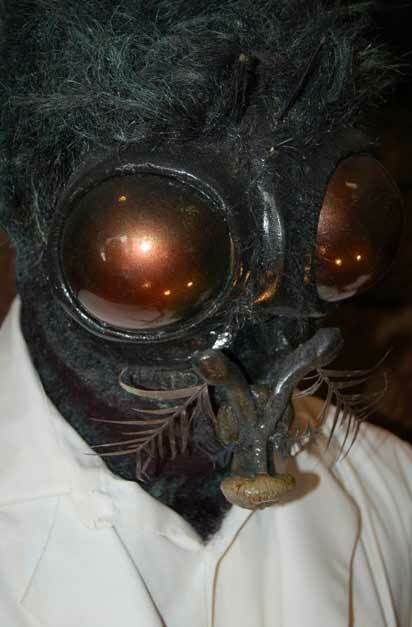 The Fly was at Bash to visit Guest of Honor Charles Herbert. Part of The Witch's Dungeon display. 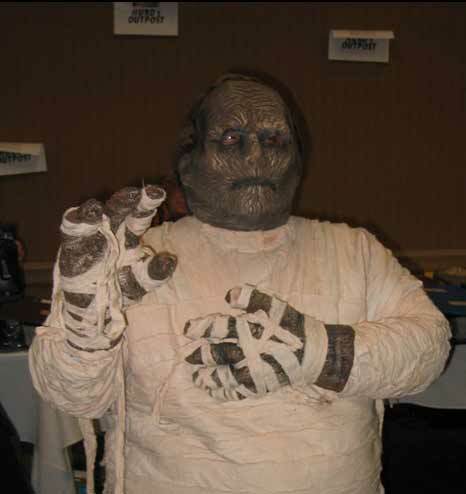 An attendee all wrapped up at Monster Bash! 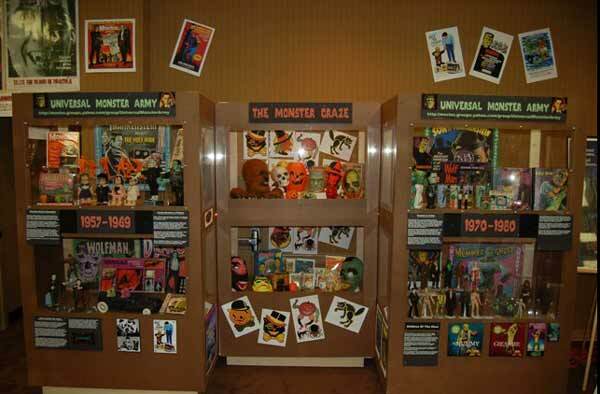 The wonderful Universal Monster Army display at Monster Bash. 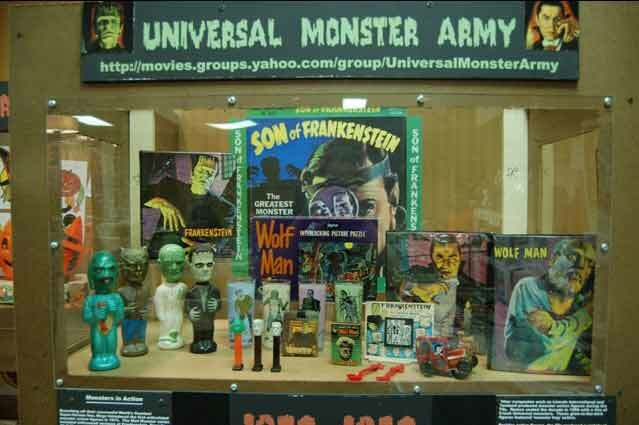 A closer look at the Universal Monster Army display...."why, oh why, did mom throw my stuff away." 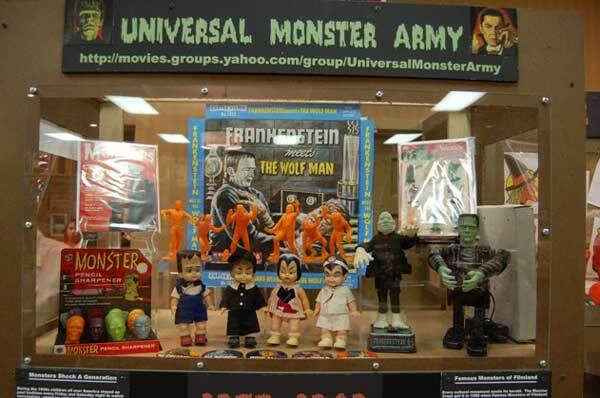 Another look at the Universal Monster Army display. 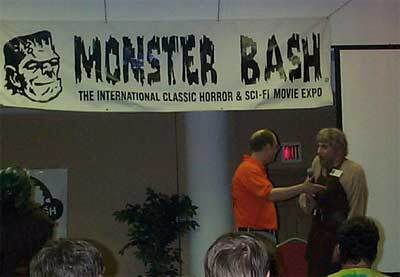 Ron introduces Ol' Ygor (Michael Thomas) for Saturday morning cartoons and ceral at Monster Bash! 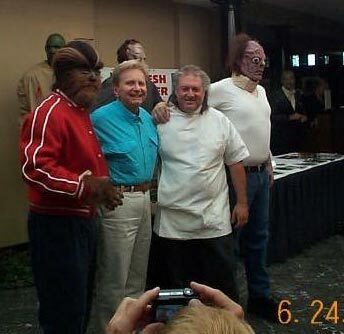 Gillman (Bill Edwards) is at the far left greeting kids. 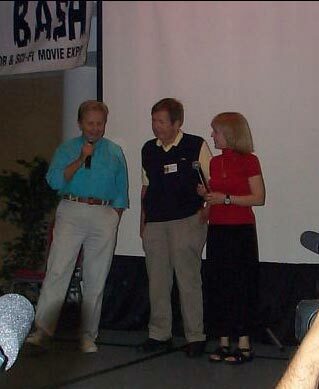 A reunion from ATTACK OF THE PUPPET PEOPLE: actor Kenny Miller, director Bert I. Gordon and actress Susan Gordon at Monster Bash. Kenny Miller is cracking-up at the surprise guests (Teenage Werewolf and Teenage Frankenstein) at his question and answer session. 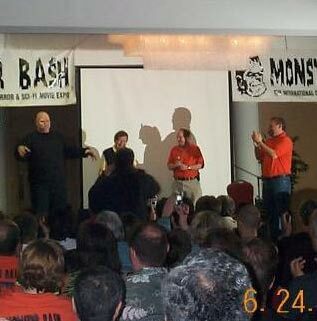 Monstrer Bash moderator, Bob Pellegrino on the left. 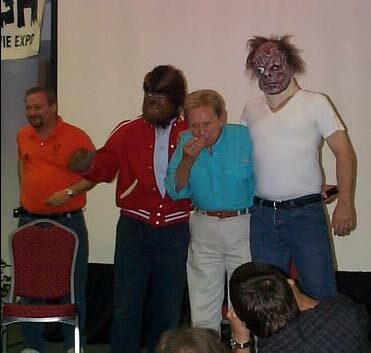 Mark Statler (Teenage Werewolf), actor Kenny Miller, make-up artist Ron Chamberlain and Bill Edwards (Teenage Frankenstein)! 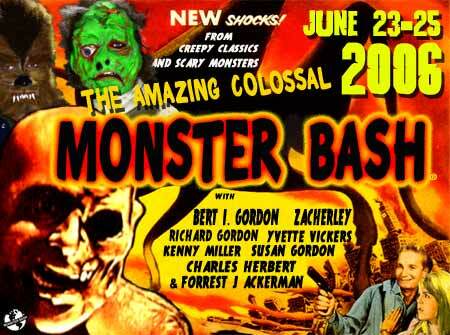 The Colossal Beast (Don Reese) takes the stage with Bert I. Gordon, Ron Adams and Bob Pellegrino. 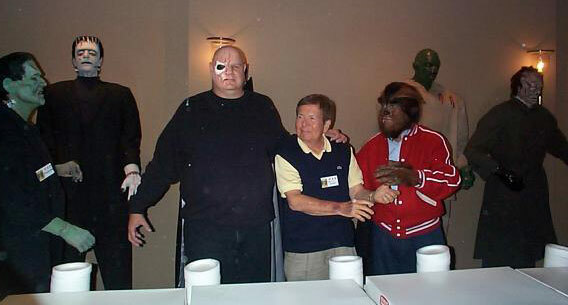 Monsters Tim Herron (Frankenstein Monster), Don Reese (Colossal Beast), director Bert I. Gordon, Mark Statler (Teenage Werewof) getting into the fun at a five sheet-cahe reception in the lobby. 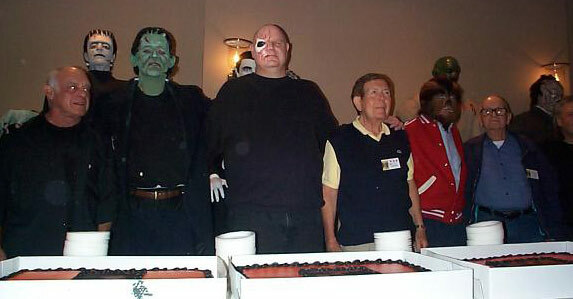 Another pose at the cakes - actor Jonathan Haze, Tim Herron, Don Reese, Bert I. Gordon, Mark Statler, movie producer Richard Gordon and cut-off make-up artist Ron Chamberlain. 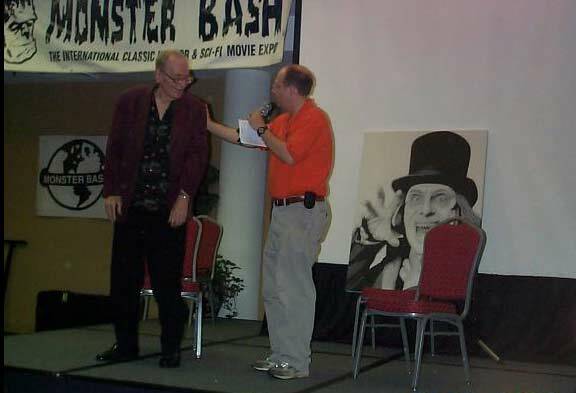 Forret J Ackerman and Ron Adams on stage fort he LONDON AFTER MIDNIGHT talk. Painting in the background by Stephen Marcum.